The Magliner mini cuts down the length of the original Magliner Junior by 10 1/2″ and 3″ from the width. It has been a favorite of still photographers, digital capture and camera/video operators using the latest digital gear. 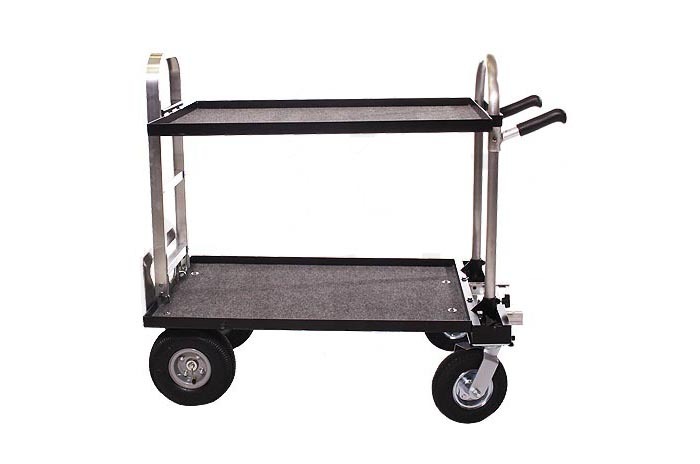 All Magliner accessories work with this cart. This cart includes the Mag Mini 19″ G5 Bottom shelf. The basic difference between the standard Mini Bottom Shelf and the G-5 Mini Bottom Shelf is the extra inch on the width. This small change allows you to place a Mac Pro tower sideways.